Starting a blog is easy. Growing blog traffic is hard. Earning money off of a blog is really hard. That is unless, you learn from the best. 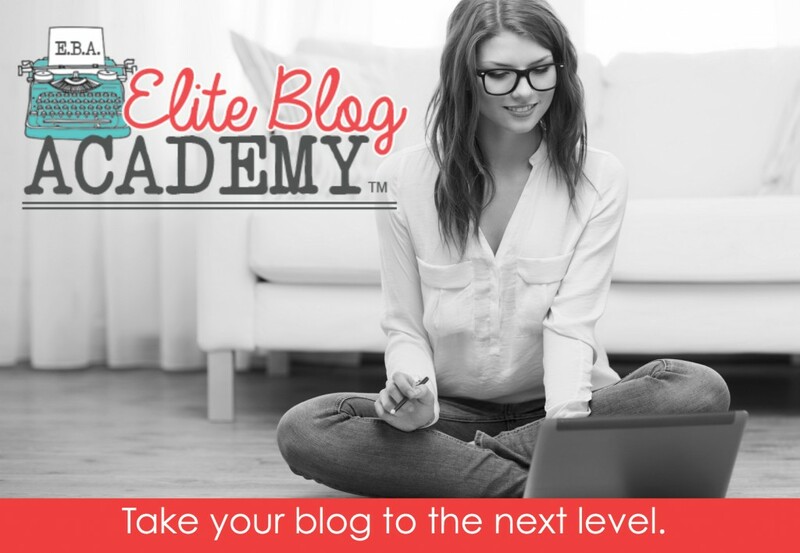 In October of 2014 I decided to take a chance and enroll in the first-ever Elite Blog Academy course. I wasn’t sure what kind of results to expect but have since been blown away. 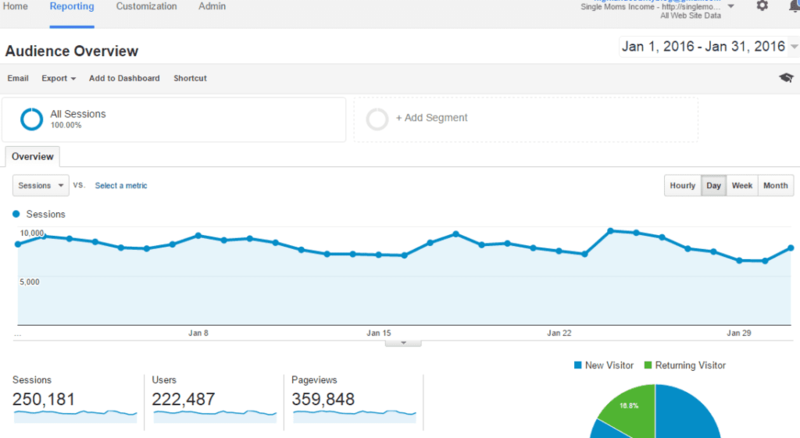 Two months after joining EBA I doubled my pageviews. Now a little more than a year after being in the course and continually applying the same principles, my traffic has grown almost ten-fold. See the results below! Here’s my traffic numbers from 2014. And now results as of January 2016. I went from 36,526 pageviews to 75,596 in less than two months And now a little over a year later my pageviews have surpassed 350,000. I was also able to take this post from less than one thousand social shares to more than 35,000. And it’s not just that post either. I’ve resurrected some of my old posts from getting zero views to thousands per day. I don’t do many reviews on my blog because there aren’t many products that I feel comfortable wholeheartedly endorsing. As a reader of my blog I consider you my FRIEND. And in no way, shape or form would I ever recommend a product to you that I didn’t completely believe in. Ruth has gone above and beyond. When I signed up for this course I honestly thought I would just get access to the already created materials plus the Facebook Group. But it didn’t stop there! Ruth gives super detailed handouts on all types of blog aspects plus holds live webinars where questions are answered! She is a strategic genius. If you’re just starting a blog or wanting to start a money making blog I would highly recommend you start here. (But do know that this course DOES NOT contain basic information. It’s all strategy.) I can only think of where I’d be if I would’ve implemented this kind of stuff two years ago. And seasoned bloggers who feel stuck, want to boost passive income rather than dealing with sponsored posts all the time, and who really want to know how to leverage social media – this is for you. I was the same way. You can definitely tell from my first six months to one year of posts that this blog was all accountability! I’ve switched back and forth over the past couple years between making this a money maker or a personal blog and finally decided to try and make it a hybrid! This is awesome, Alexa. I read her book too and started seeing improvements. Then when I went to check on her course it was booked. Going to see if I sign up today. Thank you for sharing this information with us. You’re going to love the course!! As long as you put in the work (which there’s no doubt in my mind that you will!) the results are amazing. I think you’ll make the cost of the course back in the first few months if not sooner. I signed up today for the course and I am so excited about learning more about blogging and building a great foundation for my blog. Thank you for disclosing your pageviews, this has reassured me that I have made the right decision. As long as you put in the work you’ll definitely make your money back. I’ve taken several courses and I can honestly say that this is the very, very best I’ve ever taken. I wish I would’ve done this kind of stuff when I started. Thanks for the reviews! I’m a fan of Ruth’s blog and have been thinking about signing up for her course. Seems like it’s well worth it! It’s definitely well worth it. It’s a course that you make your money back on quick! I loved Ruth’s book – I actually re-read it on a fairly regularly basis. Thanks so much for this review, Alexa! I’ve been curious about the Academy but was concerned about the time commitment. How many hours a week would you say you spend working on the Academy ‘s exercises? The course is work-at-your-own pace so there’s no need to kill yourself getting through however I have spent much more time on this blog than I normally do. I’d say I used to spend 1-3 hours per week blogging and the past couple of months I’ve probably spent *at least* ten a week. But that’s because I had to go back through and rework so many of my old posts! Now that I have that mostly done I won’t have to spend quite as much time. On the other hand I’ve been writing a lot of posts way, way ahead of time so who knows maybe I will keep spending ten or more hours a week doing it. That’s really good to know, thank you! So basically it makes sense to sign up for Ruth’s Academy when your blog is small… before you have thousands of posts to go back and rework 🙂 Thanks! Exactly! I have so many posts on here that are basically useless unless I completely rewrite them! If you start when your blog is small you can avoid making a lot of mistakes. EBA is awesome, isn’t it? I have similar results – my traffic has tripled to about 65k page views over the last 30 days. The community is amazing. Congrats on your success, Alexa! I want to start a blog for income but am hesitant as I am such a newbie and am more confused than ever by my on-line research. Even got a “Dummies” book from the library but I still feel confused. Do you think this course would be for me or would it be a bit over my head. If you know the basics of WordPress then I think this course could be good for you. The course is nothing technical at all. It’s basically all blog fundamentals – how to create your content, how to promote your posts, basic SEO, social media marketing plans, how to create good blog pictures, and finally how to monetize. I would recommend this course to you as long as you know the WordPress basics. There is A LOT of info in this course. And it walks you step by step through all of things I mentioned with very detailed instructions. What are you most confused by? I find SEO confusing. I want to do it effectively but not sure how it all works. Also ads, how to put them on my site, what affiliate marketing is all about. I bit the bullet and signed up before the price increased. Kinda hard to do just before Christmas but I hope in the long run it will be worth it. I always use word press for my blogs. Thanks for directing me to this course. You’ll find a ton of help in the class. As far as SEO that is something that I’m actually pretty comfortable (think I’m good at.) You’re more than welcome to email me any time and I’d be happy to help you. Here’s a post outlining how I do SEO https://singlemomsincome.com/triple-search-engine-traffic-fast/ Another to note is that it usually takes 2-3 months before one of my posts does well in Google. Alexa, I recently found your site and I’m so proud of you even though I don’t know you. You are doing everything I’ve been wanting to do. You are an inspiration living the dream! As a fellow single mom looking to begin the entrepreneurial dream, I need to stop the perpetual researching and procrastination and just dive in…….. Thank you for all of your resources! Hey Chica! Just wanted to let you know that I signed up under your affiliate link…I think??! Thanks for the great review and all of the information. This came at the right time for me. Thanks so much 🙂 Appreciated! If you need accountability email me and we can work together ! I will def. do that! !